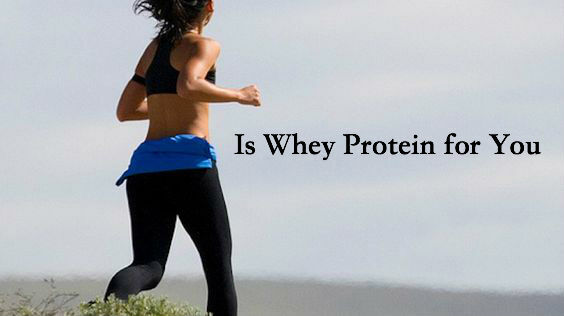 ​Is Whey Protein Right For You? Helps boost your protein and BCAA intake. Helps your tendons, organs and skin... as well as hormones, enzymes, neurotransmitters and all sorts of tiny molecules. Builds more strength and healthy muscle. Whey has been shown to be particularly effective at increasing muscle growth when consumed right before, after or during a workout. Proven to prevent diseases and build the immune system to prevent sickness. Whey can boost metabolism by 80 to 100 calories per day. Taking whey protein is a great way to increase your protein intake, which should have major benefits for dieting or weight loss. Studies have shown that replacing other sources of calories with whey protein, combined with weight lifting, and or resistance training can cause weight loss of about 8 pounds, while increasing lean muscle mass. Therefore, if you're trying to lose weight, then a whey protein supplement can help you both lose weight and hold on to your precious muscle. Muscle plays a vital role in weight loss. It is proven that 1 pound of muscle burns up to 100 calories per day. Muscle loss starts occurring at 30 years of age. This is another advantage of using a good quality whey protein to help maintain and build muscle. Of course weight lifting or resistance training is recommended along with whey to help maintain the muscle you have and help build muscle to help burn fat. Protein has been shown to help weight loss by boosting metabolism (calories out) and reducing appetite (calories that you take in). Whey can help increase fat loss, while preserving lean muscle mass. Of course, depending on what you are wanting to do, depends on the type of Whey protein you need. If you are wanting to lose weight and maintain the muscle you have, as well as build muscle, then it is recommended that you use a whey protein that is low in carbohydrates, but has a high level of protein (24 grams or above). Beyond just muscle, strength and leanness, whey protein can provide numerous other health benefits as well. Such as: lowering blood pressure, blood sugar and reducing symptoms of stress and depression. Whey protein is very high in the amino acid Cysteine which has huge health benefits. Cysteine does this by raising levels of Glutathione, the main antioxidant substance in the body's cells. Glutathione is very beneficial and important to the body. As you can see above, Glutathione is an important part of the defense system. It is recommended by professional trainers and nutrition specialist to use a whey protein that has Glutathione in it, or add additional whey with Glutathione. When it comes to any type of muscle gain and fat loss, protein is the king of nutrients... and whey has been proven to be much better than other forms of quality protein. Whey is the choice of top fitness models, pro athletes, as well as body builders and weight lifters. Whey by itself may not taste very good, which is why it is recommended to get a quality whey protein that is flavored with chocolate, vanilla or strawberry flavored. Most athletes and those using whey protein will add Almond milk which really boost the taste. Almond milk with only 60 calories is the best choice. It's important that you read the ingredients list, because some of them can have unhealthy additives like refined sugar. Look for those that are lactose free as well. Taking whey is a convenient way to add 25-50 grams of protein on top of your daily intake. This can be important for bodybuilders and Gym enthusiasts, as well as people who need to lose weight or are simply lacking protein in their diet. Most flavored whey proteins are also very delicious and can be used to make healthy recipes (like smoothies) taste incredibly good. Most of these mentioned above are smooth tasting and very good when used with 60 calorie Almond milk. Whey is generally well tolerated, although people with lactose intolerance need to be careful with it, which is why it is recommended to choose whey protein that is lactose free. Make sure and choose whey that is aspartame free as well. Aspartame is dangerous and should be avoided. People with kidney or liver issues may want to avoid whey protein. Make sure you consult with a medical professional before using it. Taking too much whey protein could cause digestive issues such as nausea, flatulence, diarrhea, pain and cramping. There are people who are allergic to whey and other supplements. If you are unable to tolerate whey protein powders, then isolate or hydrolysate may be better choices for you. If this is the case, then you can add more protein to your daily diet by searching foods that are rich in protein, like meats, fish, and shrimp. Can you have too much protein in your daily diet? Eating massive amounts of protein is unnatural and may cause harm. Having high percentages of protein in our daily diets are perfectly normal and safe. It has been said by many professional coaches, and nutritionist that having a higher daily protein number than carbs and fat are huge for maintaining weight and also in losing body fat. Keep in mind that athletes and those that workout a great deal need more protein than regular individuals, especially strength athletes, runners or bodybuilders. Typically, 1 gram of protein per pound of body weight (2.2 grams per kg) or 30-40% of calories should be safe. You can visit websites such as GNC, that have protein charts that you can use to determine your daily protein number that is needed and healthy for you and your body weight. For the majority of people, there is no reason to be concerned about the exact number of grams of protein in the diet. I personally take in over 100 grams of protein daily, which works great for me. I also recommend using some type of daily food and exercise tracker, such as the myfitnesspal.com app. This is a free app that you can use to enter every meal, exercises, your daily weight, water intake and much more. This simple app will help you stay on track and keep you accountable to your weight loss, weight management, and fitness goals. This app can be found by going to your favorite search engine and search "myfitnesspal". More whey protein advantages, delicious recipes and additional information can be found by visiting my blog. Michael Pilcher has been involved in the health and fitness industry for over 30 years with much success in fitness and weight loss.